3 in 1, Infant Carrier Cover, Nursing Cover, Blanket. You choose colors. I thought this was a great pattern to take on. Not only does it safe space in the diaper bag because its a 3 in 1 item but you can design it your self! 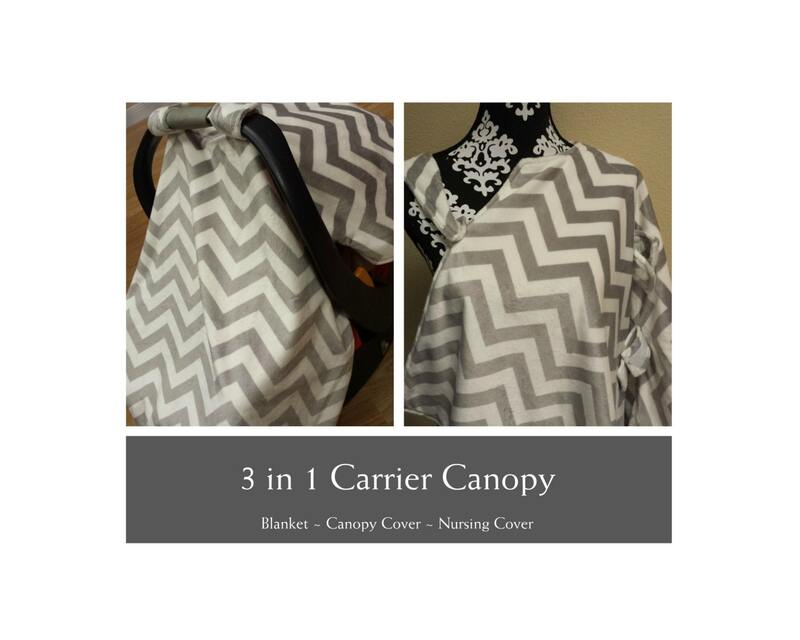 Its shown in picture 1 as a infant carrier canopy cover AND a nursing cover. The side of my cover has a removable strap that goes around moms neck for nursing. The carrier straps are permanently attached. I have hundreds of fabrics to choose from...to many to list, but if you are searching for a specific theme, color, etc just email me what you are looking for and I will reply back with swatches of what we have available. I have EVERY minky color available, solids, prints, chevrons... I can also make this in a ton of cotton prints. please contact me today for your custom cover.